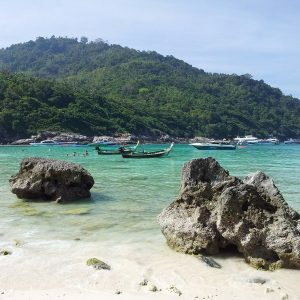 Join us for a full day trip to Racha Noi and Racha Yai for snorkeling visits 2 Islands Racha Noi and Racha Yai, with the large Boat departing from Chalong, The day trip starts with hotel pick up at around 7.30 – 8AM. When you arrive at the Pier you will be escorted to the boat and listen to the boat safety briefing, the boat will then depart to Racha Noi & Racha Yai for 3 snorkeling periods called sessions where you can snorkel in crystal clear waters. The trip will be on a large dive boat that also cater for scuba divers, this trip is perfect for snorkeling groups and Families who want to both snorkel and scuba dive. You also can pre book scuba diving for beginners and try scuba diving. Breakfast will be served at around 8.45 am, the transfer time to Racha Noi takes 2 hrs. 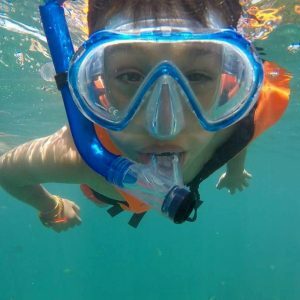 You will be introduced to the snorkeling guide who will make sure that the snorkeling equipment fits you… Your guide will go over the equipment set up with you, what you will be using and general do and dont. anything you are unsure of just speak up and ask your guide. Depending on the season and the time of your visit that can often change the snorkeling location and activity. 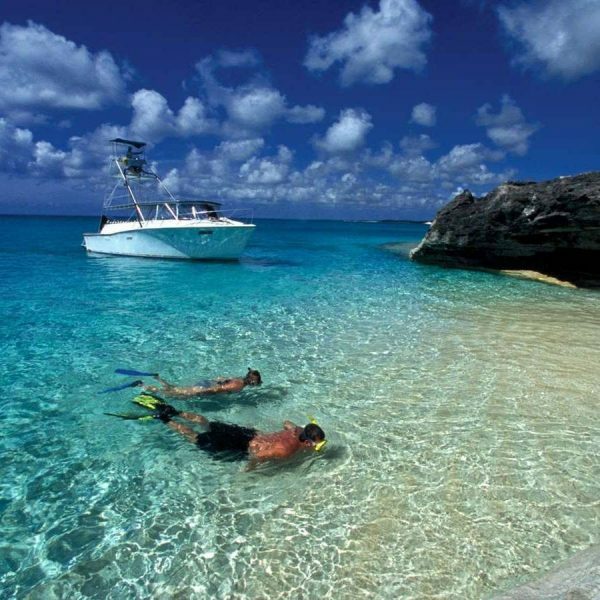 In High Season (October to May) snorkeling is on the West sides of Islands, and the other months (June – April ) the boat will travel to the East side coast Line. If you want a great experience and a good chance of seeing Manta Rays then visit in January to late March. When we arrive at Racha Noi tie boat will tie up and you will enter the water with your Guide or snorkel around the boat with Friends, for the 1st of 3 in snorkeling session each a maximum of 50 mins. 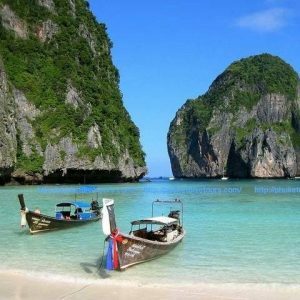 The crystal clear blue waters and white sandy bottom makes it easy to spot some of Thailand’s amazing marine life, please note that you need to wear adequate sun protection while snorkeling in the hot sunny climate, wear a Rash Guard.. After the snorkeling you can swim back to the boat and shower off, dry off and help yourself to coffee, and snacks. At Racha Yai the snorkeling Boat will tie up and you will enter the water with your Guide for the last snorkeling session The shallow reefs of Racha Yai and clear blue waters with Hard corals and white sandy bottom makes Racha Yai a snorkelers heaven for rich Marine life, often Turtles and schools of small Barracuda are seen. After the snorkeling session is over swim back to the boat and shower off, dry off and help yourself to coffee, and snacks while we pick up the others and cruise back to Chalong. The tour itineraries can be changed depend on the local weather conditions. Any changes will be made by the tour leader and boat captain on your trip based on matters of safety. 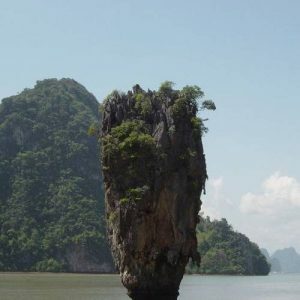 Buy this trip Now online – 100% refund back into your account within 12 hours if the trip is cancelled due to Bad weather – we dont take any money when mother nature stops the snorkeling.